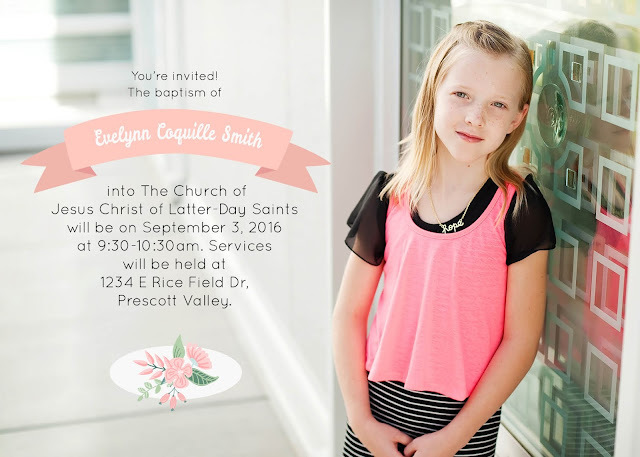 My cute niece was baptized into The Church of Jesus Christ of Latter-Day Saints so announcement was commenced! I love being able to use a picture with the text over it when I get the chance. My sister also wanted it that way, so great minds think alike!